Sum Studios tenant, The Brand New Idea, are working with The World of Superheroes to bring a new, exciting comic con to Sheffield. To celebrate, a slabbed and graded copy of the first ever Avengers comic from 1963 will be going home with one lucky WOSCON online ticket holders! For the chance to win all you need to do is buy a ticket online for WOSCON and you will be automatically entered into the prize draw. The luck winner of this amazing prize will be presented with their first edition by Game of Thrones star, Ian McElhinney live at the event on Sunday. This comic features the origins of Marvel’s premier super-team, which have since become global phenomena, and many blockbuster films such as, The Avengers, Iron Man and Captain America. This is one of the most iconic comic books out there and is worth over £2000. *Terms and conditions apply. No cash alternative. Winner selected at random. 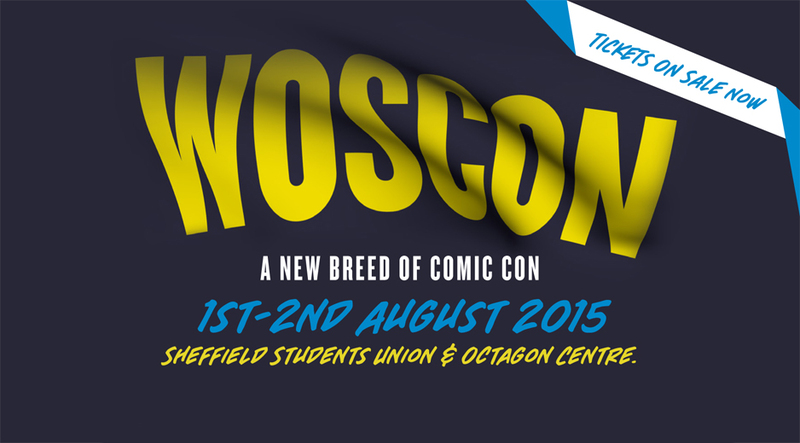 WOSCON is a new breed of comic con that is landing in Sheffield on the 1st and 2nd August, at Sheffield University’s Student Union. With something for the whole family, this comic con will be a meeting place for fans of all thing superhero, video gaming, Cosplay, tech and pop culture, and much, much more! With guests that include the real Darth Vader, and stars from both Harry Potter and Game of Thrones, this is one not to be missed!